Florida is packed with many great attractions. With a budding veterinarian living in my house I am surprised we haven’t visited Tampa’s Lowry Park Zoo yet. I guess it’s good we waited though because they have opened an exciting new section of the park! On May 11, 2002 Tampa’s Lowry Park Zoo introduced Wallaroo Station, a 4.5 acre Australian-themed family area, where thousands of families with young children have enjoyed an interactive Australian adventure. The hands-on, family-friendly features helped the Zoo secure top honors from two national parenting magazines: Parents, “10 Best Zoos,” (2009); and Child, “The 10 Best Zoos for Kids” (2004). livestock training demonstrations with ponies and llamas. Take a trip to the “Land of Oz” and visit a variety of animals of Australia and its neighbors including koala, wallabies, cockatoos, emu, singing dogs and flying fox bats. Help welcome the newest Aussie additions – a female Queensland koala named “Ceduna,” colorful birds and Fiji-banded iguanas, and take a walkabout with the wallabies in their walk-thru exhibit. The petting area features a herd of friendly goats that children can brush, pet and feed. Adjacent to the petting area, families can step into a barn that houses Haflinger horses and llamas. Don’t miss the new daily pony parade, goat show and livestock training demonstrations! The newly upgraded “Billabong” water play area takes kids “down under” to an interactive splash zone with in-ground fountains and free standing water features. Try your hand at new midway games with the chance to win prizes and souvenirs, or go mining for gems and fossils at the new Hopper’s Mining Company. Children can take a spin on one of five fun rides: the NEW Lil Joey’s Caravan, Tasmanian Tiger Family Roller Coaster, Overland Express Kiddie Train, Boomer’s Flyin’ Bananas and Outback Bumper Boats. Parents can enjoy added shade while their little joeys cool off in the water play area. Next door is Boomer’s Cafe, a redesigned grab-and-go restaurant offering a variety of freshly prepared foods and drinks. A “mommy center,” designed for nursing mothers, provides shade and privacy for infants and caregivers. Tampa’s Lowry Park Zoo is operated by the Lowry Park Zoological Society, an independent 501(c)(3) charitable organization committed to excellence in education, conservation and research. The Zoo is accredited by the Association of Zoos and Aquariums (AZA), and has been rated No. 1 by Parents magazine, “10 Best Zoos,” (2009) and Child magazine, “The 10 Best Zoos for Kids” (2004). The Zoo is located at 1101 W. Sligh Avenue in Tampa, one mile west of I-275 (exit 48) and is open seven days a week, from 9:30 a.m. to 5 p.m. daily. Parking is free. Visit www.LowryParkZoo.org or call (813) 935-8552 for information. Also find the Zoo on Facebook and Twitter. Tampa’s Lowry Park Zoo has offered to give my readers $3 off Zoo Admission! I was not paid for this post. All opinions are 100% my own. I did receive 2 hours of bowling to facilitate my review. Sometimes homeschool moms just need a night out. I am no different. Between blogging, working as a virtual assistant, homeschooling, and running a group for teen moms sometimes I just need a break. Normally when our blogging group gets together we do dinner. This time though we had a lot of fun headed our way. 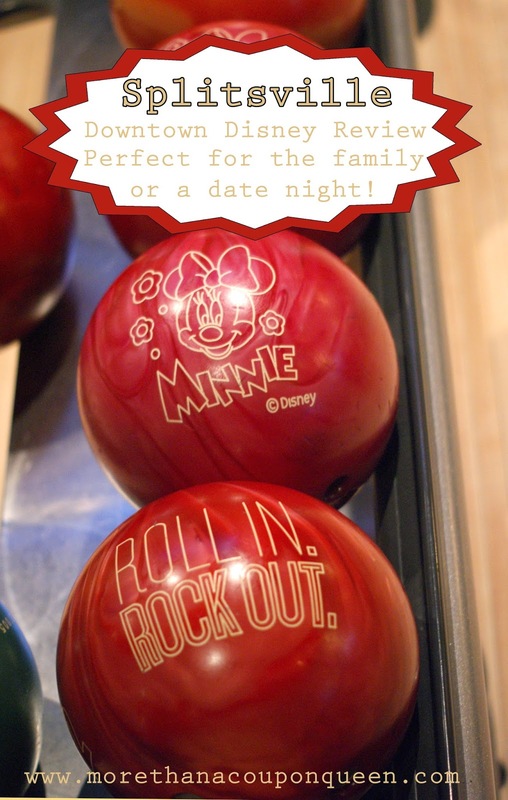 We went to check out Splitsville Downtown Disney and we had a blast! Let me tell you more about this amazing bowling place. Here are some of the things I found as I enjoyed my night out at Splitsville. The Staff – My friend Michelle from City Surfing Orlando pointed out that the employees really seemed to enjoy their jobs. I would have to agree. All of the staff not only greeted you with a smile, they also laughed and joked with you. They made the experience better just by being so personable. The Shoes – Many of us felt that the shoe sizes ran a size larger. Simply go down a size from your normal and you are ready to bowl. The Environment – Splitzville reminded me of a combination of a great restaurant, trendy bowling, alley, and a dance party all in one. Maybe the last part was more our fault though. With music so great playing in the background we were bound to dance a little bit. The Lanes – The lanes were very well done. I loved that there only 5 or 6 lanes per section. It brought down some of the noise while adding a certain intimacy to the experience you don’t get at a traditional bowling alley. The lanes we were on had booth seating which made for great discussion time between turns. The Food – Many of the bloggers tried out food and drinks from the alley while we bowled and everyone seemed to enjoy it. I was quite happy with my Jumbo Sundae. The pricing was reasonable for a Downtown Disney location. The Bowling – I am horrible at it. My first score was a 74. My second was a 65. I am pretty sure the pins were taunting me. However, I was able to laugh as a bowled a gutter ball and the screen made sure everyone knew, do a little dance when I had a spare, and pretend nothing happened when the one pin taunted me on every frame. As a whole, I would definitely recommend making this part of your trip. So, did we have fun? The pricing is very reasonable based on the time of day you come. 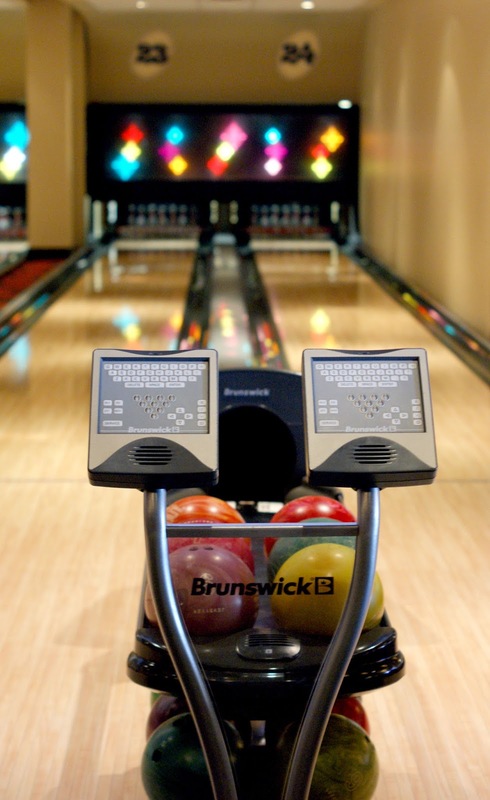 You can find all pricing information on the Splitsville website. Trans Siberian Orchestra Christmas Attic – Don’t miss it! All opinions are 100% my own. I was not paid for this review. I did receive 2 tickets to the show to facilitate my review. This past weekend we had the opportunity to check out the Trans Siberian Orchestra Christmas Attic. To say that we were blown away is an understatement. We knew some about the Trans Siberian Orchestra and loved their music. We even took some time on Youtube to prepare for what was to come. However, there isn’t a video out there to prepare you for the awesome show you will experience by checking out Christmas attic. The story starts with a young girl in an attic. As she explores she finds many memories of Christmas past. Her goal is to figure out whether she can still believe in Christmas. Varying Music Styles – You will find a huge combination of classical Christmas songs, blues styled music, rock, and many of the songs combine all of these together to make Trans Siberian Orchestra’s unique sound. Incredible lighting – This may seem small to mention but it is not. The lighting was so impressive to me. There was a combination of traditional lighting and lasers. Be aware if you are sensitive to strobes or flashing lights that this probably isn’t the show for you. Jaw Dropping Vocals – The vocalists blew me away! This is one of the rare occasions where the live performance is better than the cd. Not only could they sing these amazing songs but they made it look effortless. Ignore American Idol. Skip the Voice. If you want to hear a really powerful vocal performance you need to go to Trans Siberian Orchestra! A long concert – This is one circumstance where you really do get your money’s worth out of the show. It was 2 1/2 hours long without an intermission and they were still playing when we had to leave at the ending time. The part that really amazed us is that they were going to perform and second show in under an hour! Unbelievable Instrumentalists! – The things these artists did on the violin, guitars, keyboards, and drums were hard to wrap my mind around. I still can’t figure out how the violinists were able to head bang and play at the same time! Unreal! Are you itching to see the show? You can find all the tour dates on the Trans Siberian Orchestra Website.